Posted by Tantumblogo in awesomeness, Basics, catachesis, different religion, Father Rodriguez, fightback, Francis, General Catholic, Glory, Grace, Interior Life, Our Lady, sanctity, Spiritual Warfare, the struggle for the Church, Tradition, true leadership, Virtue. This is a must-listen to contribution from Father Rodriguez. Thanks to JMJHF Productions for uploading this to Youtube, and so quickly. This is a talk given by Fr. Michael Rodríguez on October 6, 2017, in observance of the Feast of Our Lady of the Rosary (Oct. 7th) and the 100th Anniversary of the Miracle of the Sun (Oct. 13th). The talk covers three main themes: A Terrible Crisis in the Papacy, the Letter of Filial Correction, and the 100th Anniversary of the Fatima Apparitions. Fr. Rodríguez makes an urgent plea to all of the world’s Catholics, especially those who are not familiar with the Traditional Latin Mass, but do have a sincere desire to be good and faithful Catholics. Fr. Rodríguez explains three great signs which God is giving us, thereby calling us to convert back to Him and to the true Catholic religion of 2000 years. These three signs from Heaven are: (1) the frightening crisis in the Papacy, (2) the historic “Letter of Filial Correction” and (3) the 100th Anniversary of the Miracle of the Sun. Fr. Rodríguez is one of the signatories of the Letter of Filial Correction of Pope Francis. Fr. Rodríguez explains both the Letter of Filial Correction, and how faithful Catholics must respond to the present, nearly unprecedented, crisis in the Papacy. He concludes with a brief teaching on the Message of Our Lady of Fatima. This is a must see video for all Catholics who desire to be faithful to God and the Church in the midst of a terrible crisis in the papacy. I should have also added, that Father Rodriguez makes note that one of the specific matters of error emanating from this papacy is a statement from the increasingly notorious Cardinal Farrell that the awarding of manifest grave sinners with a prize for their sin (see, guys, we can turn this argument you love to use on its head) in the Eucharist for divorced and civilly remarried Catholics constitutes: “a process of discernment and conscience.” Uh huh. 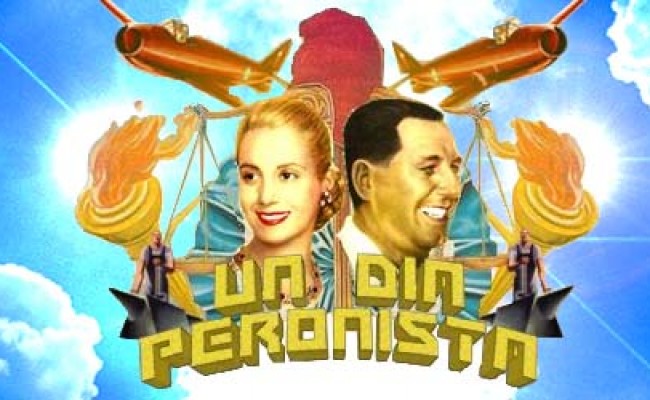 Posted by Tantumblogo in abdication of duty, asshatery, cultural marxism, Dallas Diocese, disaster, error, family, foolishness, Francis, General Catholic, Revolution, scandals, secularism, self-serving, Society, the struggle for the Church, unbelievable BS. Hey, that cardinal’s hat wasn’t going to land on his head all by itself. It had to be earned. Kevin Farrell may not pray much, have a great depth of spirituality, or even know much theology, but he sure as heck know who the piper is, and what tune is being called. There are actually two aspects to this report. One is the outrageous statement made by former Dallas bishop and now Cardinal Farrell, and the other is how the Catholic media presented this statement, at least in the form of the headline. Well, we can certainly see that in Cardinal Farrell, Francis found the right man for his job of remaking the Church in his own image. Now, if you’re like me, Cardinal Farrell was speaking quite boldly, even definitively. He left no doubt that he feels that priests “have no credibility in this area.” That’s a quite definitive statement. So how did the Catholic press, especially Catholic News Service writer Sarah MacDonald, report this really remarkable declaration from Farrell? Get this headline: “Prefect suggests couples can be better at marriage prep than priests.” Hmmm. Is that your takeaway from this? That Cardinal Farrell suggested that priests could be better at marriage prep than priests? It read to me like he just came out and said it, like a bald statement of fact. And so we see that fake news is not limited to the secular world! That’s how you got Trump, Mzzz. MacDonald. 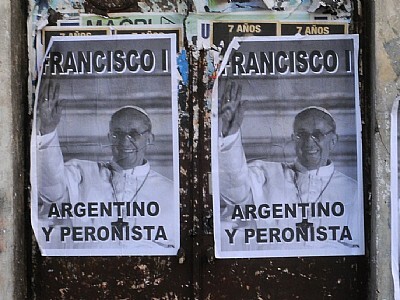 “Beyond the differences, he is a Peronist Pope” – Lieutenant Governor of Buenos Aires, March 14, 2013, the day after Francis was elected Pope. You’ll get one or two posts today, and like it!